Eek! I love sewing for baby. 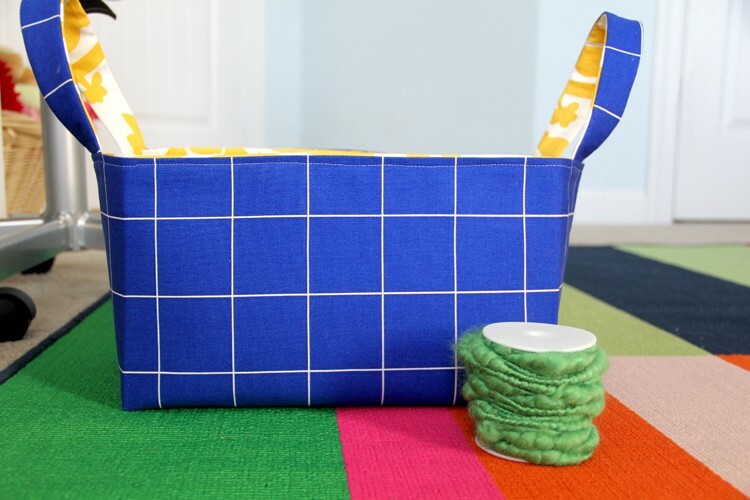 Baby showers just give me an excuse to indulge my inner baby sewing love. 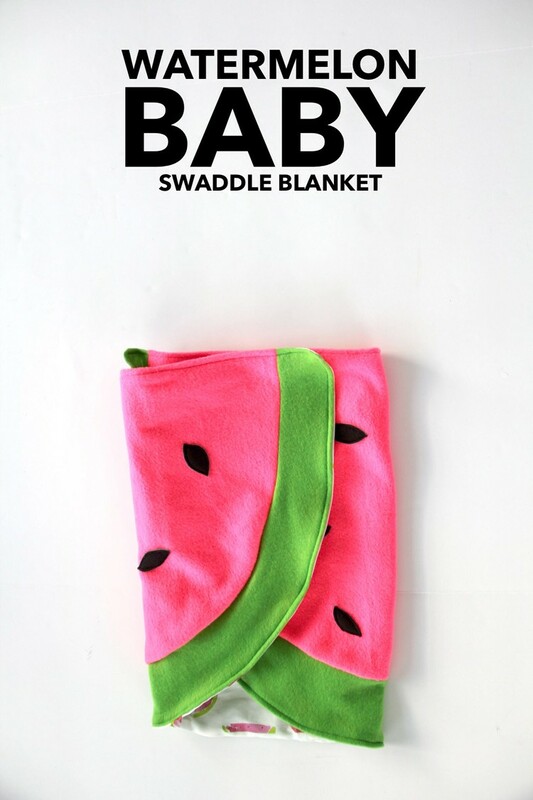 Add that with my obsession for all things fruit this Summer, and you get the watermelon baby blanket. Wrap your baby up like the little nugget that they are :). 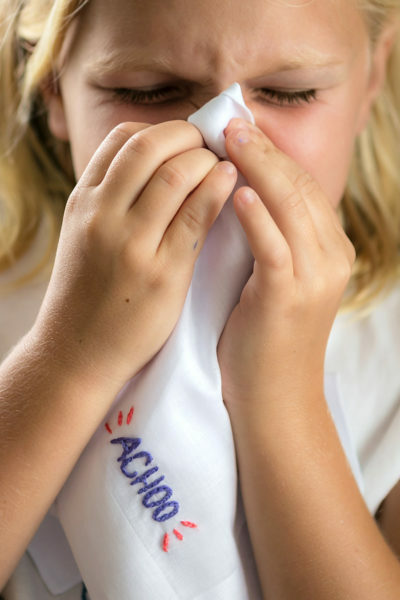 As if you needed another reason to smile every time you looked at that little one – this will surely do it. A super easy sew, this fleece swaddle blanket is the perfect handmade baby shower gift. 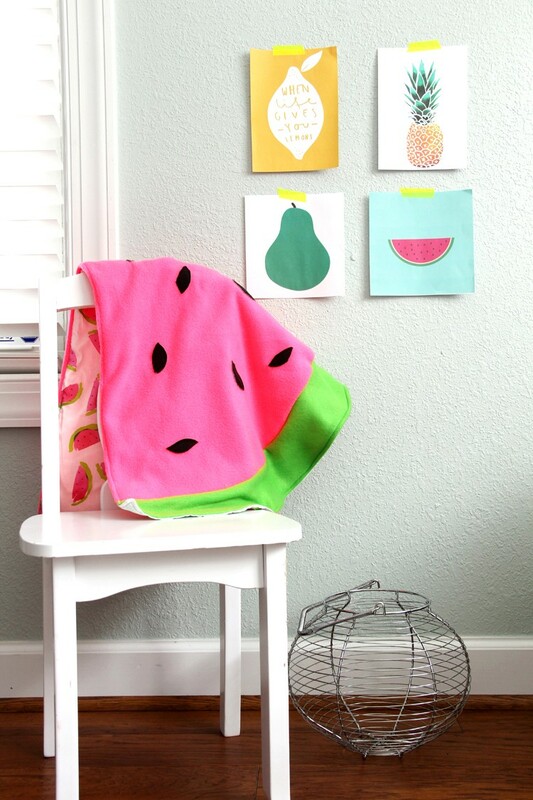 Watermelon Baby Blanket / Swaddle DIY. Step One – Cut your cotton fabric so that it is 19″ long. 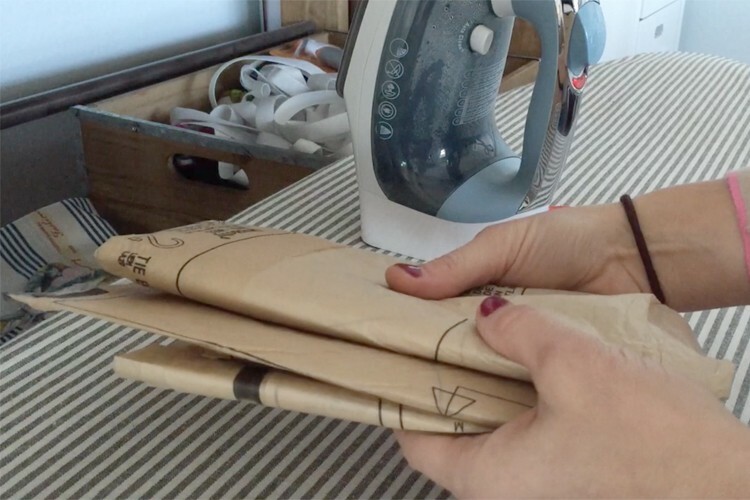 Fold it in half so that the selvedges meet up on the sides. Cut up in an arc, to mimic a watermelon shape. 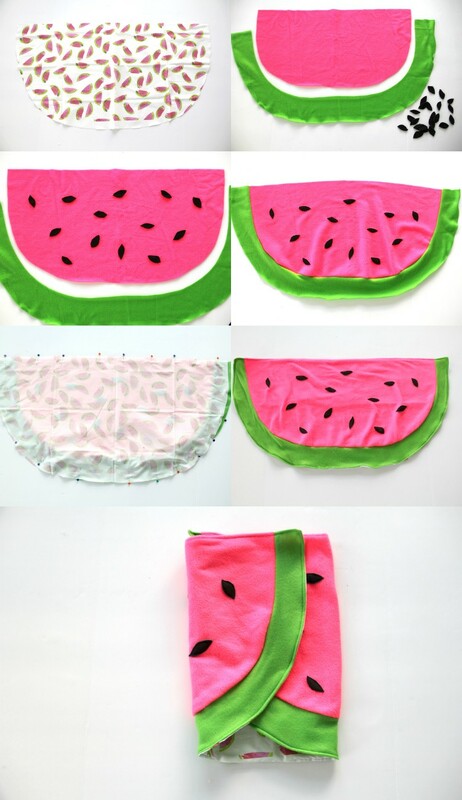 Step Two – Using your cotton fabric as a pattern template, cut out a watermelon piece from the pink fleece, subtracting 3″ from the outer edge all around. 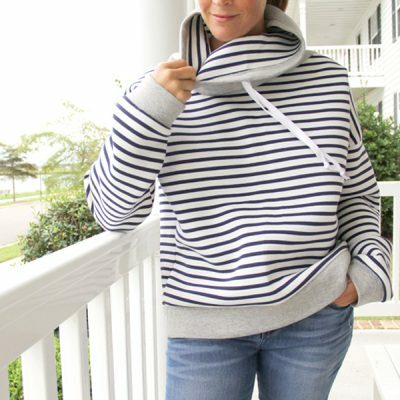 Cut a 4″ curve of the outer edge, using your cotton pattern piece as a template, from the green fleece. Cut out little black ‘seeds’ from the scrap black fleece. Step Three – Place black seeds on top of pink fleece and pin in place. Sew around the seed edges to secure. Step Four – Sew the green curved fleece onto the bottom outer edge of the pink fleece. Clip seams. Step Five – Place cotton watermelon on top of fleece watermelon, right sides together, and pin around outer edges. Sew, leaving a 6″ opening for turning. Step Six – Turn right side out pulling through opening, push out all edges with a blunt object. Pin opening closed and whipstitch. Edge stitch around entire edge. 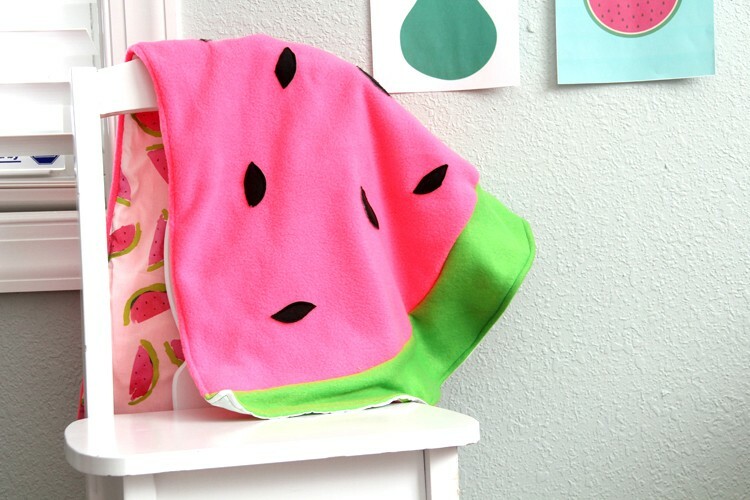 What is the finished size of the Watermelon Swaddle Blanket? I’m also fruit obsessed this summer and so my future LO’s theme is Summer Fruit Market. This is absutely perfect! I can’t wait to make one!